Thank you for visiting my page. 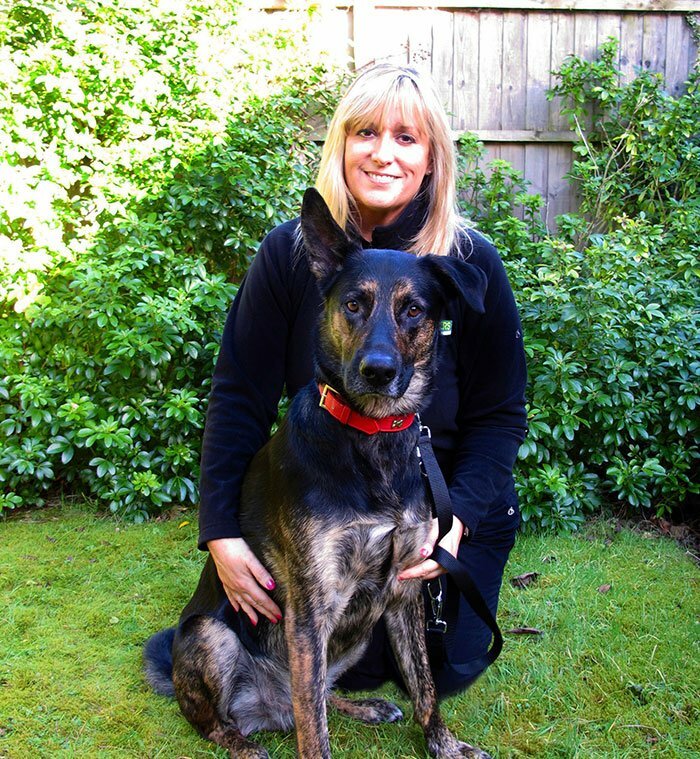 My name is Angela Young, and I am your local therapist for Bark Buster Home Dog Training Merseyside North. 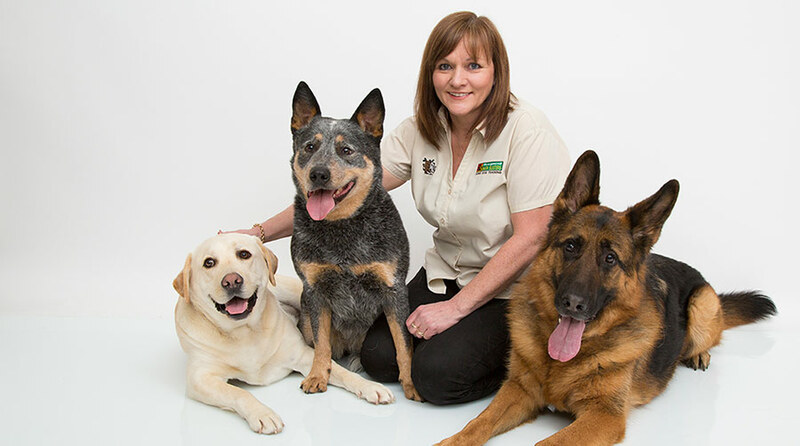 Whatever problems you are having with your furry friend, I am confident that I can help you. Below is a brief overview of the service I provide. I hope that you find it helpful. Should you need to ask any other questions, the Bark Buster team are on hand to assist you with any queries without placing you under any obligation. Do you have a behaviour issue with your dog that you feel unable to address? Many people experience difficulties at some time or another with the behaviour of their dog. They often complain that their dog just doesn’t listen to them; or that they have tried everything and nothing works. What I very often find is that their dog is trying to listen to them, but simply doesn’t understand what is being requested of him, or often genuinely believes that he needs to behave in this way. Because I come to help you train your dog in your home, I am able to see what is happening in your relationship with your dog; how do you communicate with him? how consistent are you about rules and boundaries? Is your dog better at training you than you are at training him? You may laugh at that, but very often clients don’t realise how well they have been trained by the dog! Our training always begins in the home. Our initial meeting will last 2-3 hours and will give you a clear insight into why your dog is displaying the behaviours that are causing you stress. During this meeting, I will explain to you fully how the Bark Buster system of communication works, and I will show you how to use it in your daily interactions with your dog. There will be lots of opportunity for you to practise your techniques whilst I am with you so that, once I leave, you will be equipped to continue with the training. An important point to mention is that our system is kind and effective. We do not use physical force or inflict pain to get a dog to listen to us. I will show you how to communicate using only verbal communication and body language, and you will be amazed at just how quickly your dog responds. Where dogs have been stressed by their perceived responsibility of guarding and protecting the family group, we often see them visibly relax once they know that you are in control and that your communication is clear and consistent. Whether it’s barking, jumping up, aggression, pulling on the lead, sibling rivalry or any other problem you are having (or a combination), I am confident that, by allowing me to show you our proven system of training and communication, you will see a difference in your dog’s behaviour very quickly. Obviously that means that I will be training you as much, if not more than, I am training your dog. But all of my clients find that it is worth the effort, and enjoy the challenge of learning new skills. I am very friendly and make the sessions as helpful as possible for you. I am particularly experienced in helping to rehabilitate rescue dogs. I provide my support to Freshfield Animal Rescue, and to the RSPCA in Southport, and I understand the need for patience and time to allow a rescue dog to settle into a new home. My own dog is a rescue. Cole is German Shepherd Cross who had been rehomed twice by the age of 14 months. I have trained him using the Bark Buster methods and he is now a well-behaved member of the family who hasn’t lost his love of life and his enthusiasm. I can also help you with all of your puppy-training needs. It’s always a pleasure to help new owners get off on the right foot with a new puppy…and I also enjoy the puppy cuddles! So, if you feel that you need help with your dog’s behaviour, please do give me a call and allow me to help you. I’m confident that your dog will thank you for it, and you won’t look back. We've only had the initial session, but we are very impressed with the help and advice we have given so far.